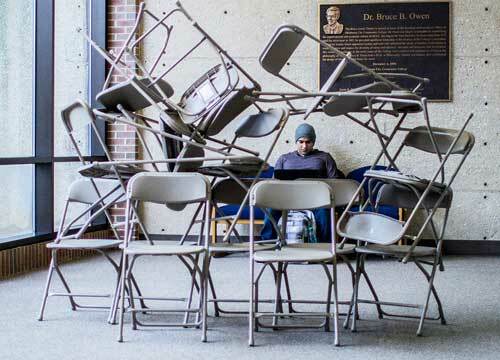 Diversified Studies major Lorenzo Perez relaxes by a cluster of stacked chairs outside the Bruce Owen Theater Jan. 23. Perez said the students who assembled the chairs were initially putting on a performance for him. “They stacked all these chairs together and claimed this was art,” he said.